…are iced – all that's left is to choose an outfit. 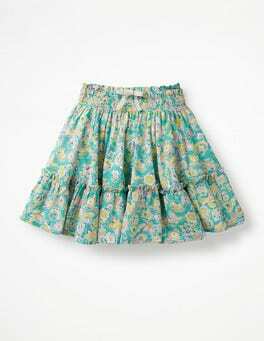 Slipping into this twirly skirt is easy thanks to the elasticated drawstring waistband. But forget practicality, it's the details that make this a standout. We added a double tier, ruffles and full lining for ultimate party-going swish-ability.